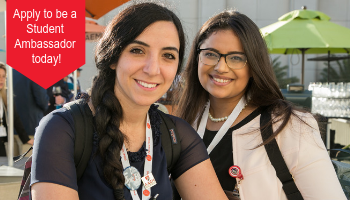 AAEM19 is the ideal conference for residents and students to attend. With specialized sessions and content tailored to you, there are valuable opportunities to take advantage of every day of the assembly. The AAEM Resident and Student Association is an accessible, collaborative organization that fosters innovation, education and advocacy for residents and students in emergency medicine. Visit the AAEM/RSA website for more information about the great member benefits they offer. Note: Applications accepted on or after January 8, 2019 will be added to a wait list. All currently enrolled osteopathic and allopathic medical students who are paid members of AAEM/RSA are eligible to apply. This is a great opportunity to network with residents and attendings at the meeting, plus you can include your participation as a student ambassador on your CV! Other benefits include waived registration, being paired with a faculty mentor during the conference, acknowledgement in the Scientific Assembly program, and a complimentary group dinner during Scientific Assembly. Be an Ultrasound Model, Earn Money! AAEM is looking for a minimum of 12 individuals to assist with the ultrasound courses as models. Each model will receive a stipend after the session as a thank you and is required to complete a W-9 to receive payment. Models are welcome (and encouraged) to sign up for multiple sessions. Discounted registration rates on pre-conference courses for AAEM/RSA student members! Learn about the full pre-conference courses available. Free for students! The medical student track will provide you with invaluable advice on how to successfully apply to an emergency medicine residency. There will also be a residency program director panel. Pre-registration is required and open to medical students only, so take advantage of the opportunity to learn more about the specialty and meet other students and physicians practicing emergency medicine. We hope to see you there! This competition is designed to recognize outstanding research achievements by residents and students in emergency medicine. Come and see projects by your peers! Enjoy light hors d'oeurves and drinks while networking with colleagues and exhibitors in the Exhibit Hall. The Western Journal of Emergency Medicine: Integrating Emergency Care with Population Health is proud to sponsor the AAEM/RSA WestJEM Population Health Research Competition. This is designed to showcase resident and medical student research specifically in areas that affect the health of populations of patients in and around the ED. The top three abstracts will be highlighted on AAEM's social media pages and honored with plaques. Come and see projects by your peers! The AAEM19 RSA Track – Residency to the Real World: The Missing Curriculum focuses on topics not typically covered in residency. RSA would like to thank Carey D. Chisholm, MD FAAEM and the late Kevin Rodgers, MD MAAEM FAAEM for creating the concept of the track. Dr. Rodgers' support and collaboration in the development of the track with RSA leadership was invaluable. The goal of the track is to prepare residents for their careers in emergency medicine by concentrating on topics such as interviewing, contract negotiation, health policy, ways to prevent burnout, and more. RSA has partnered with the AAEM Emergency Ultrasound Section (EUS-AAEM) to bring you a hands-on component to this exciting track. Join us for an afternoon of ultrasound simulation and didactics by some of the best ultrasound educators in EM. *Pre-registration required – limited spots available. Join the Women in EM Networking Lunch - open to everyone! Learn more and register today. *Pre-registration required – advanced registration is full.